North Carolina and the Civil War: The Bitter End, 1864–1865, the final exhibit in a three-part series commemorating the 150th anniversary of the Civil War in North Carolina, has opened at the Museum of History in Raleigh. The exhibit series, which included The Breaking Storm, 1861–1862 and The Raging Storm, 1863, has explored the four years of our nation’s bloodiest conflict. It is located within the museum’s permanent military history gallery A Call to Arms. Admission is free. The Bitter End, 1864–1865 begins in the spring of 1864, when heavy fighting in Virginia was thinning the ranks of Tar Heel troops. The exhibit concludes not at Appomattox Court House but with the surrender of the CSS Shenandoah in Liverpool, England, on November 6, 1865. 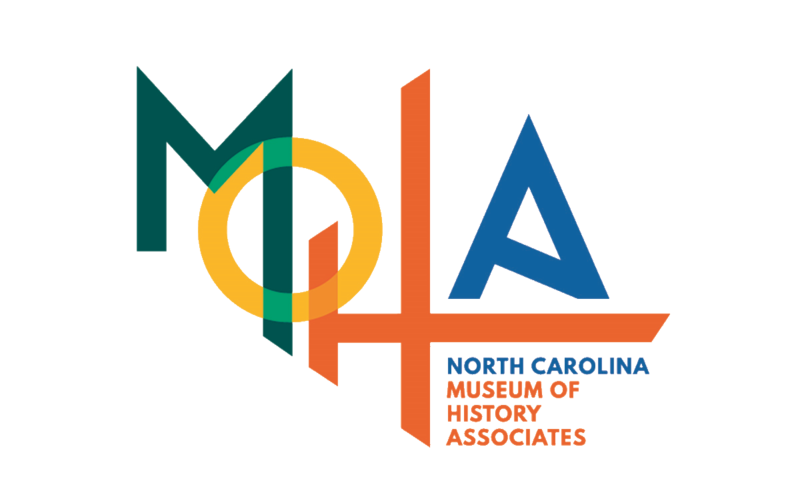 Highlighted artifacts include revolvers, swords, battle flags, and uniforms used by North Carolinians who persevered in the face of impossible odds. One section of The Bitter End, 1864–1865 showcases battle flags that have never been exhibited or have not been on view for many years. 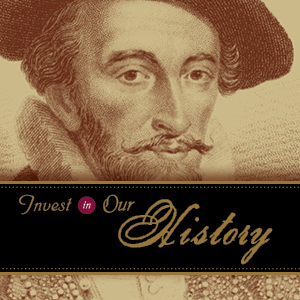 These historic banners have been conserved through funding provided by Civil War re-enactment groups and organizations. Flags on exhibit will be changed periodically to avoid prolonged exposure to light. Another section, The Last Campaigns, focuses on the fighting in Virginia at the Wilderness, at Spotsylvania Court House, and at Cold Harbor. Artifacts include a Burnside carbine captured from a Federal scout and presented by Maj. Gen. Stephen Dodson Ramseur to his troops because he led an attack that saved the Confederate army at Spotsylvania Court House in May 1864. Also featured is the battle flag of the First Regiment North Carolina State Troops that Pvt. John Reams of Northampton County carried into the Battle of Spotsylvania Court House, where he was captured during hand-to-hand combat. Unavoidable Ending recounts the fall of the Confederacy and Gen. Robert E. Lee’s surrender at Appomattox Court House in Virginia on April 9, 1865. The exhibit also highlights the surrender treaty signed by Union general William T. Sherman and Confederate general Joseph E. Johnston at Bennett Place, near Durham, in April 1865. On view is a Model 1850 foot officer’s sword used by Col. Paul F. Faison, 56th Regiment North Carolina Troops, that was surrendered at Appomattox Court House. Artifacts associated with the Bennett home include a table and whiskey bottle used at the site. Be sure to see The Bitter End, 1864–1865 and learn more about the stories of North Carolinians during the war’s final chapters. 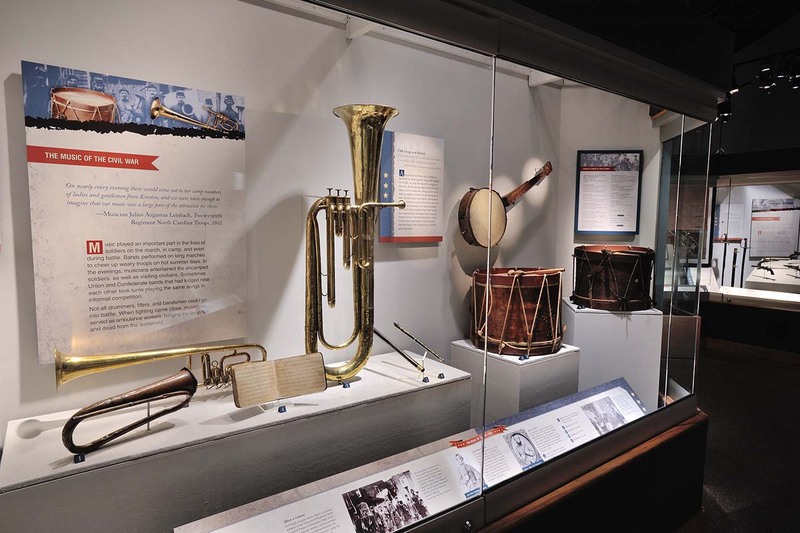 The exhibit is part of the North Carolina Civil War Sesquicentennial, a statewide initiative organized by the North Carolina Department of Natural and Cultural Resources in commemoration of the 150th anniversary of the Civil War in North Carolina.